With winter on the way, it is important to ensure that any property you own has a sufficient secondary heat source should something go wrong. The winter of 2015/16 saw a 26% increase of claims on broken boilers than that of the 2014/15. 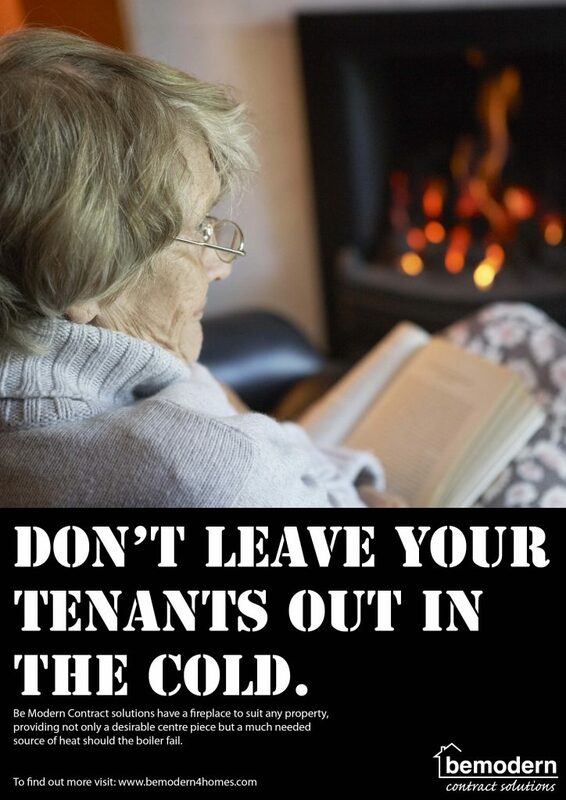 Boiler use increases during winter months, if the boiler malfunctions there could be a costly pay out and occupying tenants may be left in the cold. Installing an electric fire is a quick and easy way of adding a secondary source of heat to any property, as well as introducing an attractive centrepiece to any room. Be Modern Contract Solutions offer a range of electric fires and fireplaces which are easy to install and energy efficient as well as visually appealing; we pride ourselves on offering the right product for any maintenance project. Our electric fires feature thermostat controls which enable the temperature to be easily regulated, resulting in low energy bills. Having an electric fireplace is not only a backup should your central heating fail, it also allows you to heat specific areas of your home. The fire’s LED technology boasts a life expectancy of the flame effect is in excess of 30 years. Our inset electric fires are easy to handle, transport, store and install; enhance any property with a desirable and practical centrepiece. The benefit of a secondary heat source can be huge in safety, living standard and financial savings. The flick of a switch could mean the difference between coldness and comfort. To find out more about our inset electric fires please visit www.bemodern.com or call 0191 430 9430.